As ‘dark data’ becomes an increasingly important topic, corporations are being forced to think about the way they use data more effectively. With the new year underway, many marketing plans are looking to solve this problem of ‘untapped data’ and applying MarTech. Mary-Ellen Dugan, Chief Marketing Officer of the WordPress digital experience platform, WP Engine, was in Australia to host a customer summit and provide insights into the future of websites and web data. 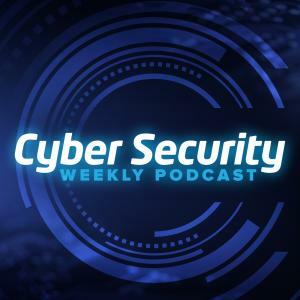 This interview delves into the direction websites are heading with the issues of ‘dark data;, fake news, authenticity and security. Most of the world’s data is classified as ‘dark’, meaning that it is untapped for business or analytic purposes. In the era of the ‘data monopoly’, it is staggering to think that this mine of information is untouched. Living in a world where customer experience reigns supreme, zillions of bytes are a potential key to unlocking invaluable consumer sentiment and improving digital experiences. In 2018, WP Engine ran one of the most extensive studies on the Mobile Web - so much so that Google linked to it for its 3 year anniversary of AMP. Though there have been previous vague predictions around the death of the website, this study pointed instead to the ongoing challenges that apps face to survive. When consumers use Facebook or Instagram for information, their data belongs to Facebook, rather than going through a brand’s website. This creates major gaps in understanding customer segments and can skew business analytics. So, it is more important than ever for businesses to drive customers to its websites, where they can control content, digital experiences and of course, own all the right data. Recorded 29 November, 2018 in Sydney.